Playing French lottery comes with lots of benefits. One advantage is the convenience of playing the game online. This is moving away from the old-fashioned way of going to the booth, filling out slips and making payments in person. With a readily available internet connection and a valid credit card for making payment you have the liberty of choosing your numbers and be part of the game at any time and anywhere. The game is easy and has been making lots of people multi-millionaires over the years. The game has a huge culture which is majorly supported by the French government. It is operated and organized by Francaise de Jeux, FDJ, group. The game is drawn three times every week (Mondays, Wednesdays, and Saturdays at 20:30 GMT), with the aim to increase everyone’s chances of being a winner. 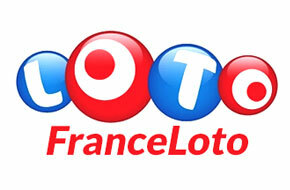 You can play France lotto online from any part of the world without having to leave the your place of comfort. Tickets can be purchased from vendor or agents from any country around the world. Tickets are scanned and are readily available in your personal accounts. Everyone has the opportunity of winning exciting prices from the different tiers of the game by only purchasing your tickets and choosing numbers. The game is played by only selecting numbers. Players choose five numbers from a range of numbers 1 to 49. You also have a chance of selecting a number from bonus numbers 1 to 10. This number is popularly called the “lucky number.” A number picked as a lucky number can be the same as the other numbers. All six numbers can be added to your cart for final purchase. There is nothing extraordinary in the rules guiding the game. For the least experience it is incredibly straightforward offering an exciting experience. Draws are done three times every week. This offer all participants a high chance of emerging a winner. All participants have a minimum chance of 16 to 1 of emerging a winner. There are six price tiers for this lottery drawn three times a week. Participants must be 18 years and above to be eligible to play the game. French lotto offers the best odds compared to other lotteries giving every participant opportunities of becoming multimillionaires. Lump sums are paid to winners in cash and tax-free. There are range of prizes to be won. For matching the lucky number correctly with the number drawn at random you stand a chance to win €2.20 while, for matching all five numbers successfully with all five numbers drawn at random you become a winner of €100,000. To hit the jackpot player must match all six number selected together with the lucky number drawn at random from the main dip. The French lotto comes with a minimum jackpot of €2 million. When there is a rollover the jackpot increases by €1 million for the next jackpot. The jackpot rollover is capped at 34 times. France lotto tickets can be purchased online from any part of the world. Tickets can be purchased online on your behalf by registered agents or concierge. To win the jackpot all six selected numbers must match the six numbers randomly selected. Six numbers are chosen from two drums. From the first drum, five numbers are drawn at random while from the second drum just a lucky number is drawn. Winners are contacted via emails and also displayed on websites. France lotto started in 1976 and had since made lots of individuals multimillionaires. Since 2002 it has successfully made over 150 millionaires. The current operator FDJ is the founder of Euromillions. France lotto successfully pays out €150 billion in prizes to be won annually. Considering the odds, this games offers the best compared to other lotteries in Europe. The France Loto record jackpot was won on June 6th, 2011. The prize was €24,000,000. One lucky player on that day matched the numbers 10, 13, 22, 30, 45.